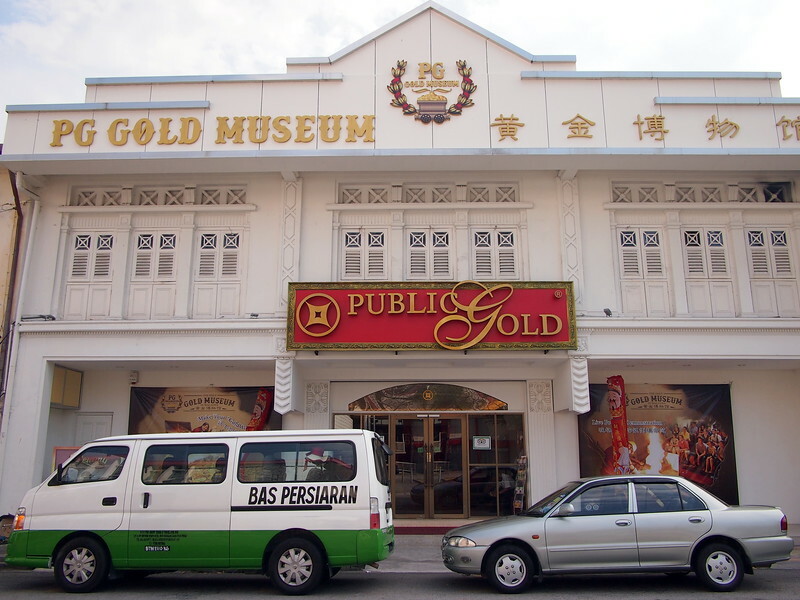 The PG Gold Museum in Penang, Malaysia is a museum dedicated to gold. 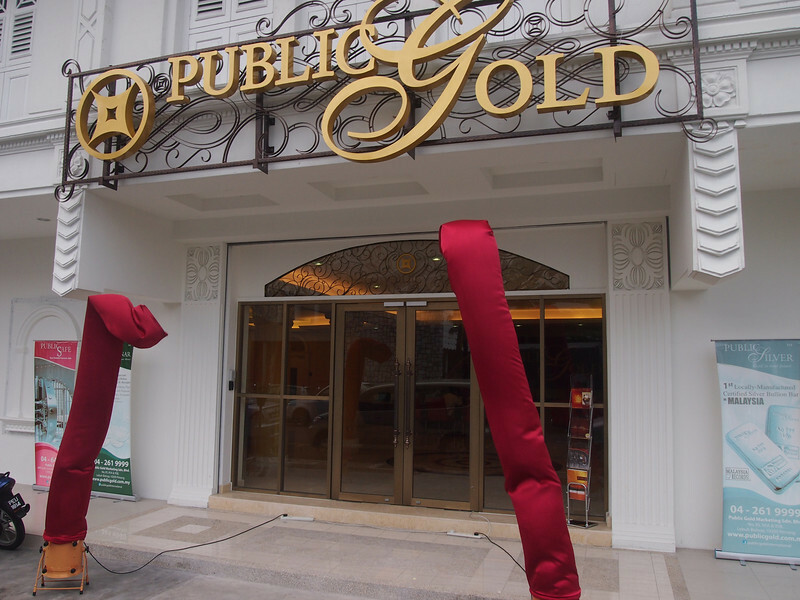 The museum is an addition to the retail store of Public Gold Group, which sells gold bars and coins. 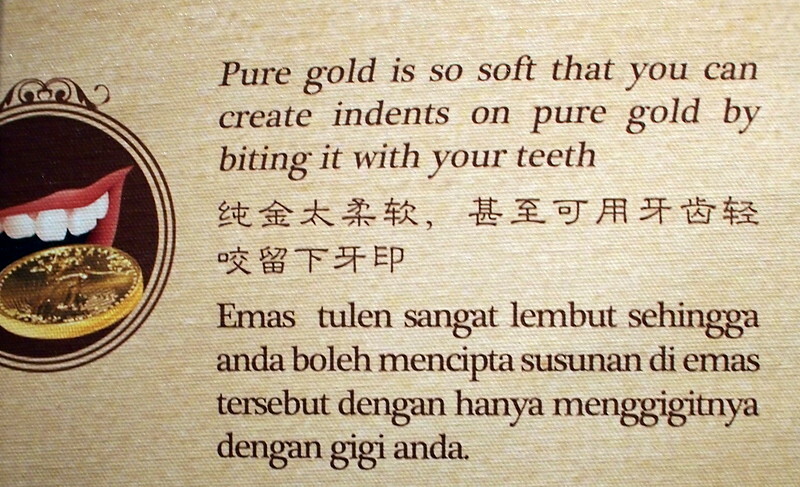 They are the first locally minted gold and silver bars provider in Malaysia. 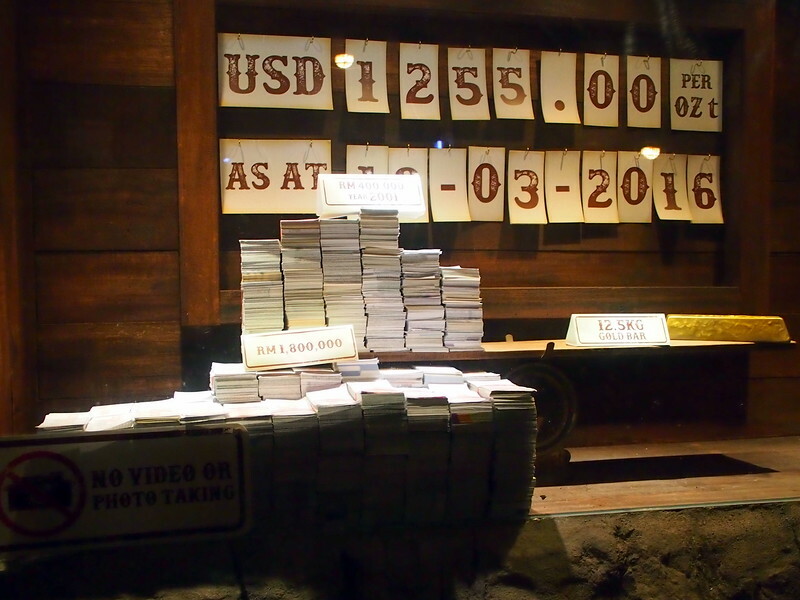 If you are coming here to buy physical gold or you are just interested in the history of gold then this is an interesting museum to visit. 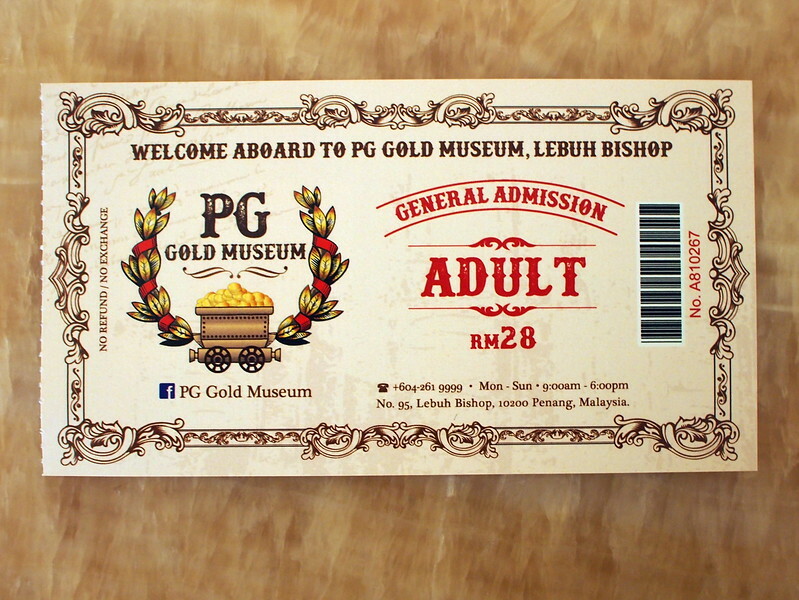 A single ticket for an adult is 28 MYR. 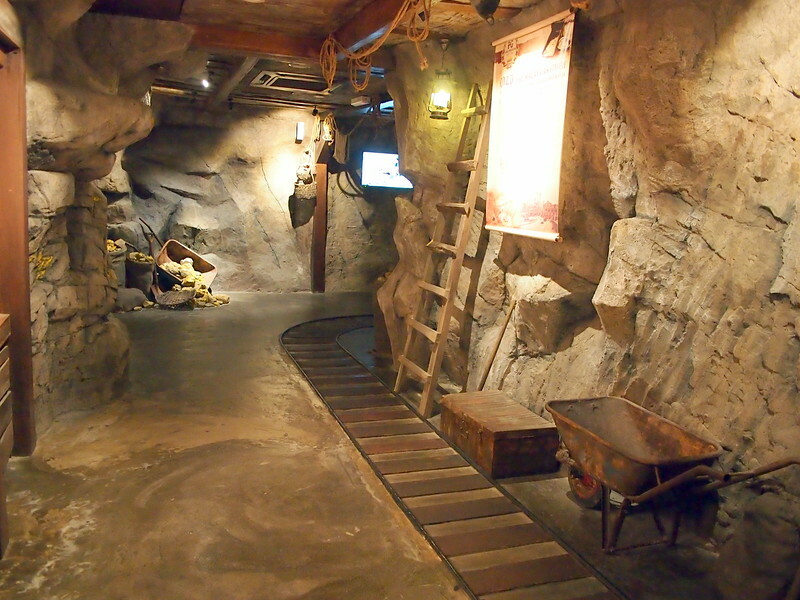 Upon entry you go through a mine shaft which takes you through to the exhibits. Throughout the tunnels there are little gold factoids to read as you go. 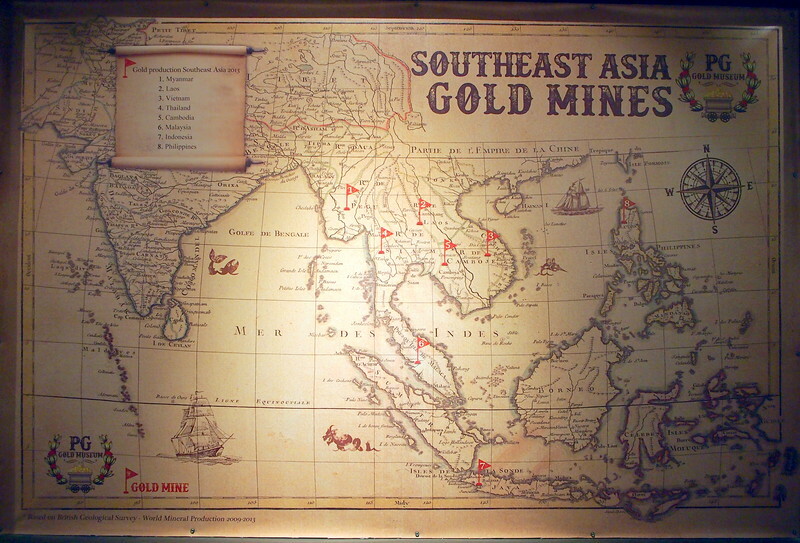 You will learn about the history of gold in Southeast Asia, especially mining on the Malay peninsula. 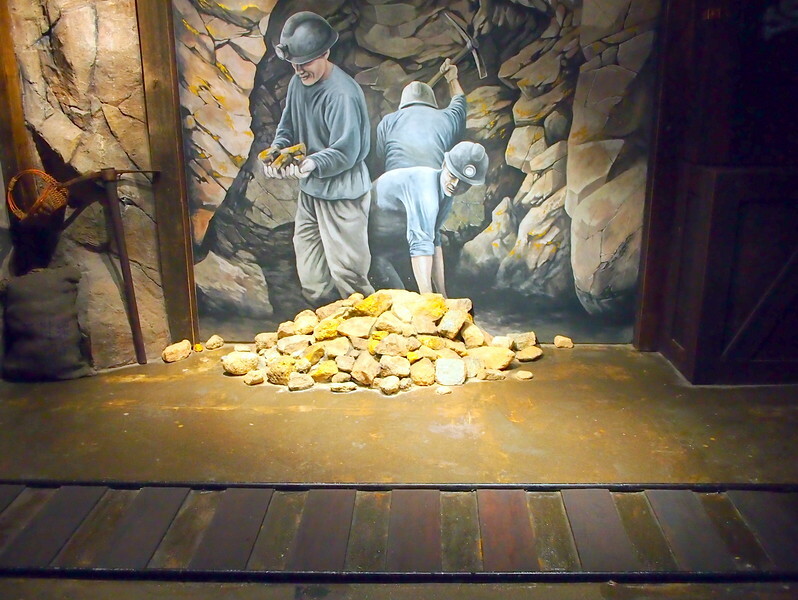 The highlight of the tour is a live show of silver ingots being made, which is held at regular intervals. Poring a gold ingot would be too expensive to run on a regular basis so you get the idea from the silver. Its fascinating to watch molten silver being pored into a mold and then cooled in the water tank. We were offered to hold the ingot, which was already cool by the time it was handed around to the crowd. 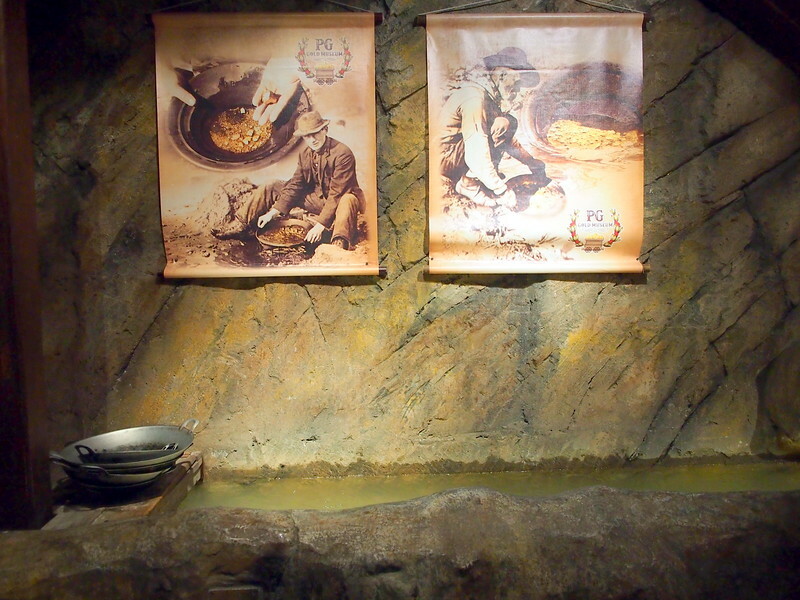 In another room there is a simulation of a river bed where you can pan for gold. Apparently there are real gold specks in the sand at the bottom of the water tank, but as you will soon find out, panning for gold is a real skill. 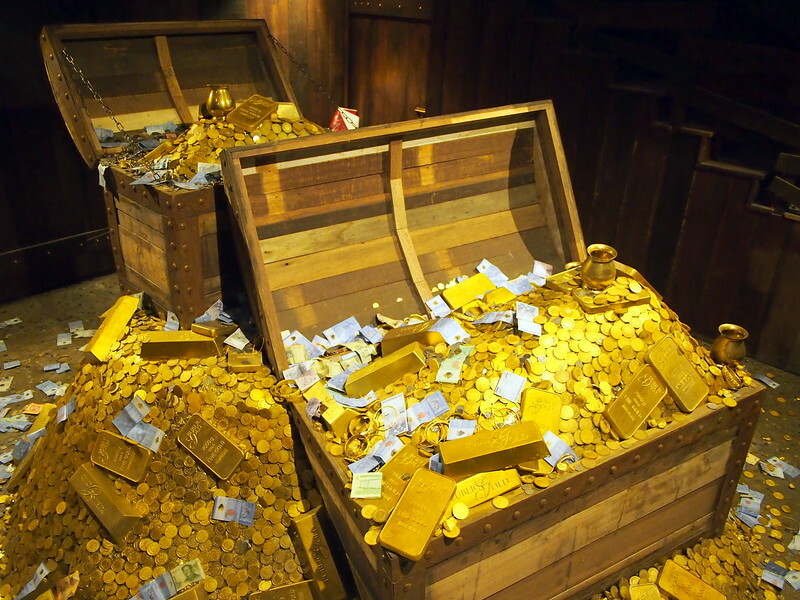 If you do find gold it is yours to keep. I kept finding a bunch of sand. Of course there is a wishing well here, which looked like it was doing a brisk trade in wishes for fortune and good luck. The gold price is updated daily, just in case you are contemplating a purchase before you leave.